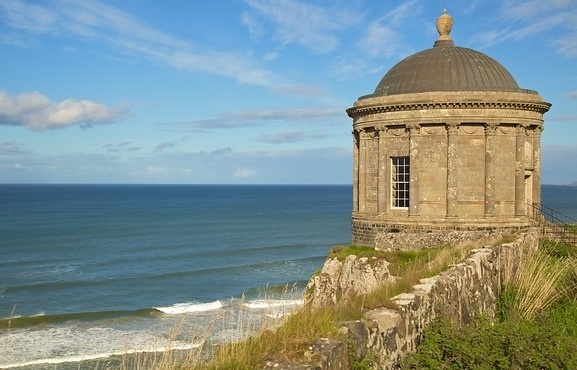 The Mussenden Temple erected in 1785 by Frederick Hervey, Bishop of Derry in memory of a deceased cousin. The temple is located in County Derry, the same part of the world in which poet Seamus Heaney was later born. A craftsman with words rather than with brick or stone, Seamus died yesterday and so this image commemorates his passing from our midst. He will be much missed by all of us fortunate to have known him. Not a picture by John Hinde but a photograph taken earlier this summer of the gate lodge at Fosterstown House, County Meath. 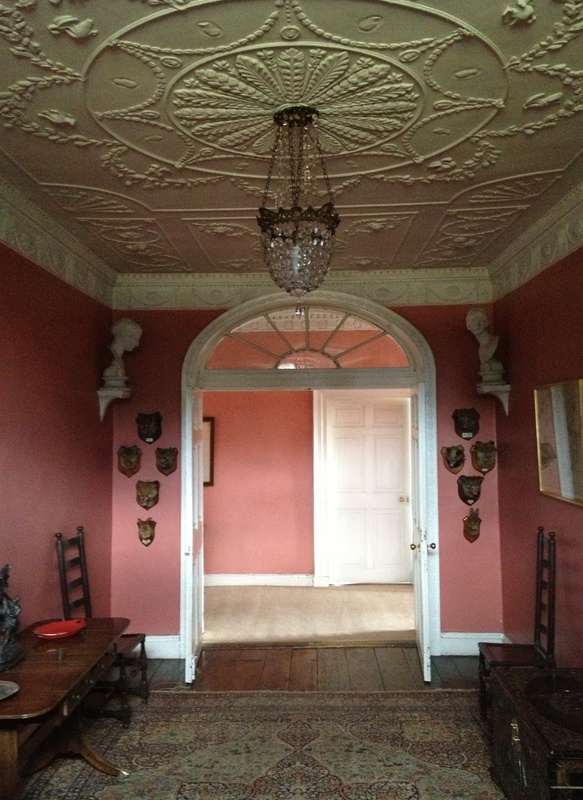 Located immediately south of Trim, the main house dates from the 1840s but evidently there was an earlier property on the site since it was recorded that the future Duke of Wellington lived there at least some of the time after he had been elected to the Irish House of Commons as MP for Trim. This information was reported by Samuel Lewis in his Topographical Dictionary of Ireland published in 1837 when Wellington was still alive (he died fifteen years later). 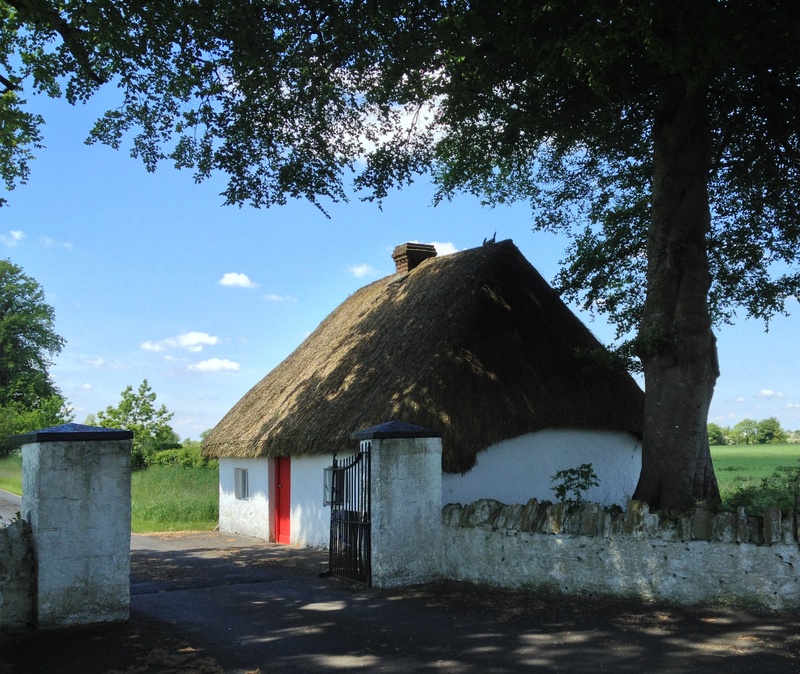 In any case the little white-washed and thatched lodge is older than the house at the end of the drive; it dates from c.1800 and provides a charming introduction to Fosterstown. It cannot be claimed that in the 17th and 18th centuries, Ireland’s senior Anglican clergy devoted themselves exclusively to matters religious. Indeed, they were often more preoccupied with politics and the acquisition of material goods than with spirituality, but in at least some instances we are today all the beneficiaries of their activities in these fields. The man who might be said to have set the tone for what followed in the Church of Ireland was Adam Loftus. Born in Yorkshire in 1533, apparently while still an undergraduate at Trinity College, Cambridge he met and impressed Queen Elizabeth and thereafter enjoyed her patronage. Embracing Protestantism, he began to climb through the ranks of the Anglican Church but only really achieved power after serving as chaplain to Thomas Radclyffe, Earl of Sussex following the latter’s appointment as Lord-Lieutenant of Ireland in 1559. 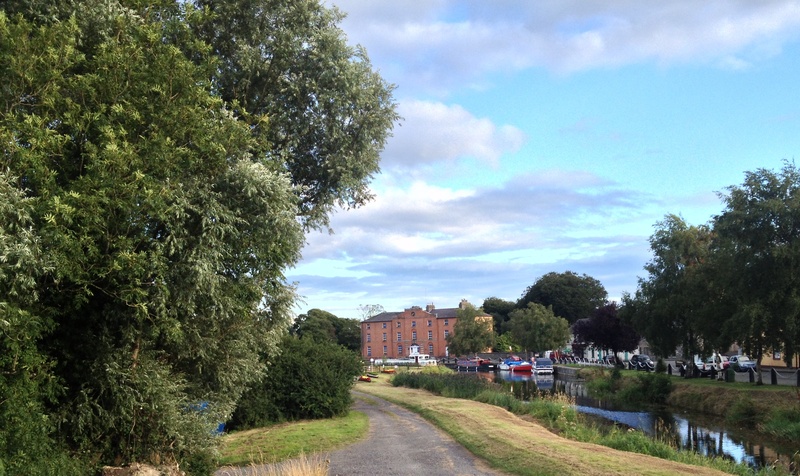 By 1561 Loftus was chaplain to the Bishop of Kildare and the same year was appointed to his first living. Thereafter his rise was rapid: in 1563 he was consecrated Archbishop of Armagh at the age of only 28, swapping this four years later for the Archbishopric of Dublin. In 1581 he was appointed Lord Chancellor of Ireland and then strove to ensure that the country’s first university would be located on a site of his choosing: in 1593 he became the first Provost of Trinity College, Dublin, named after his old alma mater. Meanwhile in addition to building up his political as well as ecclesiastical authority, he was acquiring land so as to leave something for his heirs: he and his wife had twenty children, of whom eight died in infancy. 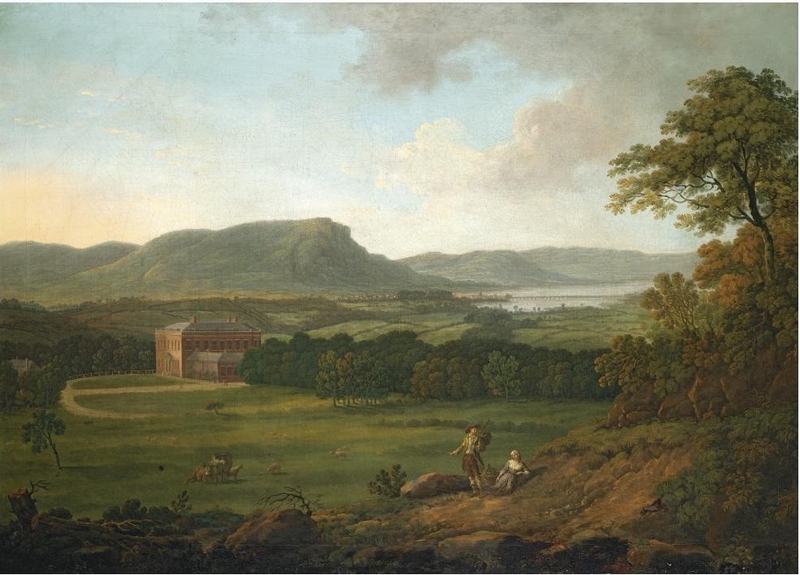 One of the parcels of land which came into Loftus’s possession was located at Rathfarnham at the foothills of the Dublin mountains, confiscated from James Eustace, 3rd Viscount Baltinglass after he had rebelled against the crown. A castle of some kind existed on the site but soon after Loftus was granted Rathfarnham in 1583 at a nominal rent of thirty shillings he began work on a new residence, which remains to the present day. Although the interiors were said to have been luxurious, the castle’s external appearance was very much defensive being rectangular in shape with four massive corner flanking towers to allow guards watch for any approach to the building. Four storeys high,its walls are on average some five feet thick and running east-west through the centre of the entire castle is another wall almost ten feet thick: this seems solid but it is now proposed that in fact the wall actually held a series of chambers or corridors from which access was gained to rooms on either side. 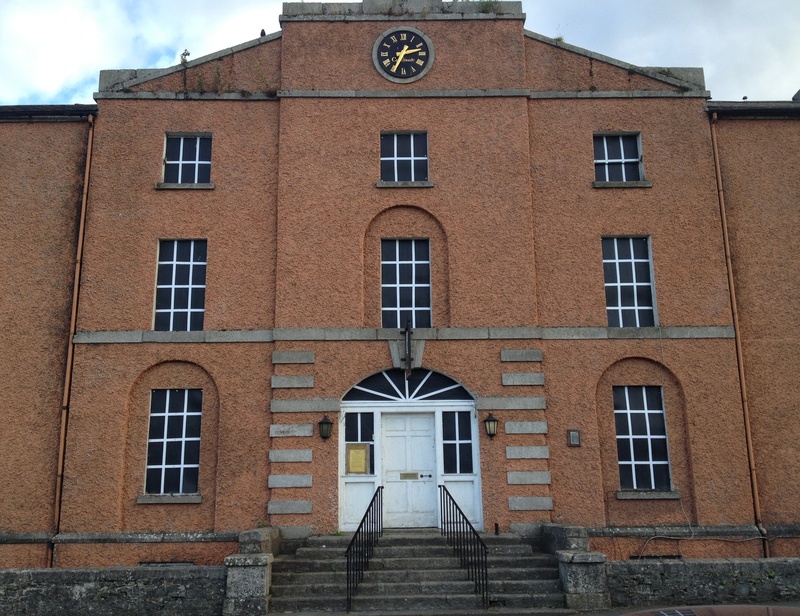 Nevertheless, Loftus was right to construct such a solid building since its location left Rathfarnham vulnerable to attack from the Wicklow clans. Five years before his death in 1605 it withstood assault from this source, and did so again during the 1641 rebellion before passing back and forth between different sides in the Irish Confederate Wars. 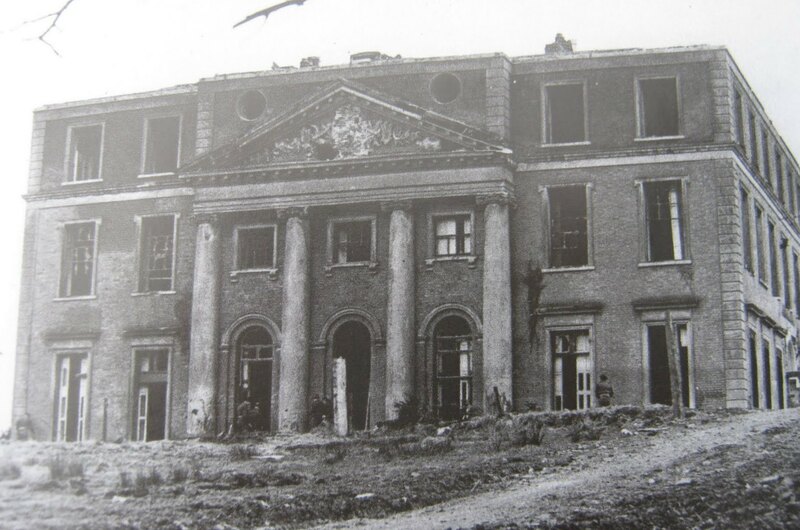 It was only towards the late 1650s that the Loftus family was able to regain control of the place. 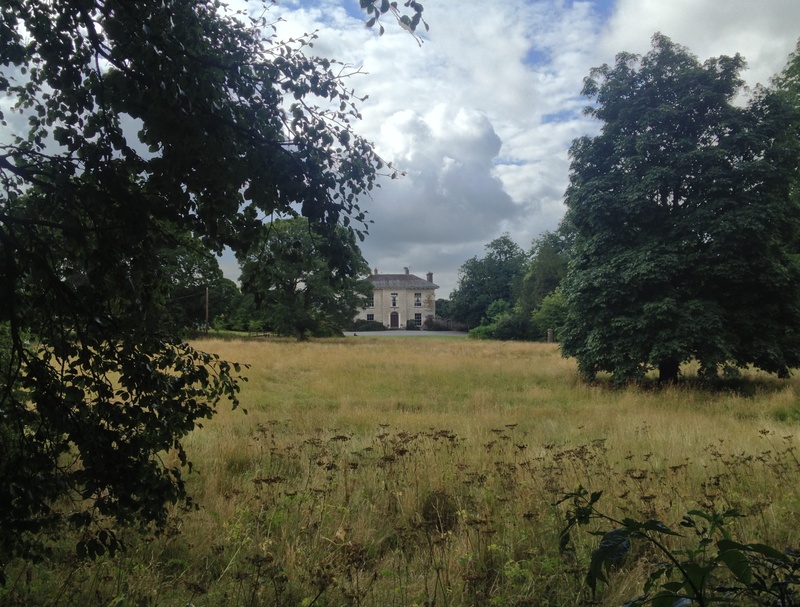 In the early 18th century Rathfarnham passed to Philip Wharton, who at the age of 19 was created first (and last) Duke of Wharton by George I; Wharton’s mother had been Lucy Loftus, only child of Adam Loftus, Viscount Lisburne. Wharton seems to have been a hopelessly character. His father Thomas Wharton although notoriously dissipated was at least politically astute and one of the leaders of the opposition to James II. Philip Wharton on the other hand, despite having every advantage, set out on a course of ruination that saw him end his days a hopeless drunk in a Spanish monastery, dead at the age of 32. In 1723 indebtedness caused by over-investment in the South Sea Bubble obliged him to sell his Irish estates including Rathfarnham which was bought by William Conolly, Speaker of the Irish House of Commons. He paid £62,000 for house and lands but never lived there, presumably because he had already begun work on his own house at Castletown, County Kildare (see Up Pompeii, June 17th). Instead the castle was let to various tenants who began to refurbish it before the whole place was sold in 1742 to another Anglican cleric, John Hoadly who had just been made Archbishop of Armagh. 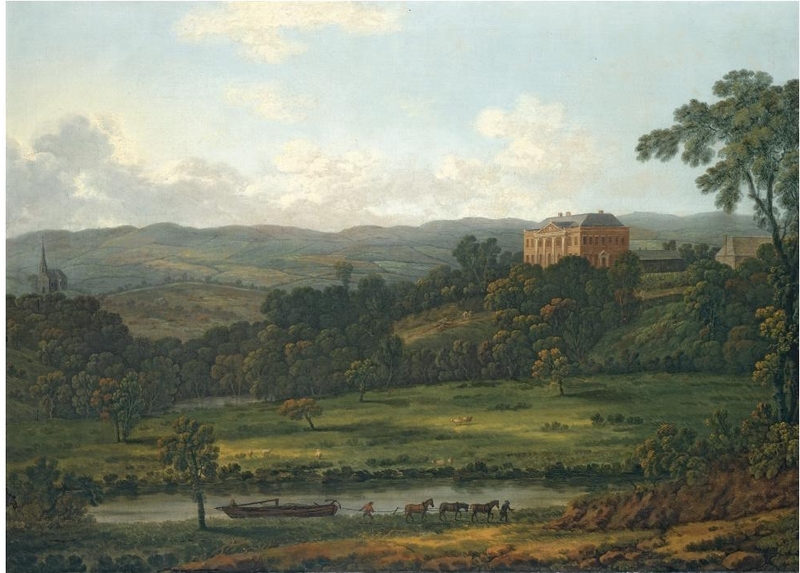 On his death Rathfarnham passed to Hoadly’s son-in-law Bellingham Boyle but like Philip Wharton he also suffered from chronic indebtedness and so in 1767 Rathfarnham was sold to Nicholas Hume-Loftus, second Earl of Ely, a descendant of the castle’s original builder. On his death without children it was inherited by his uncle Henry Loftus who also had no issue (compared to their forebear with his twenty offspring, these later Loftuses proved to be an unfecund set) and so Rathfarnham was inherited by a nephew Charles Tottenham who in 1800 would become first Marquess of Ely. 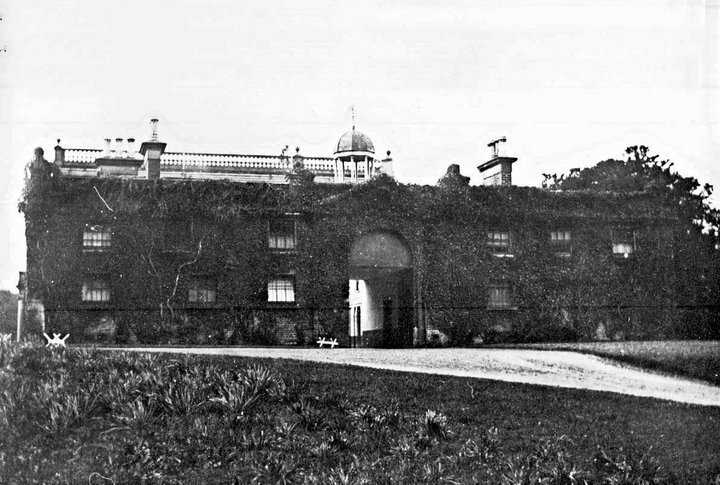 The Elys, who owned several estates, spent little time at Rathfarnham which at some date before 1852 was sold to Francis Blackburne, then Lord Chancellor of Ireland; he and his descendants lived there until 1913 when the place was bought by the Jesuit Order who used it as a seminary and added two long wings on the north- and south-east sides of the main building (they also seem to have taken out the main staircase which is a great shame). The Jesuits in turn put the place up for sale in the mid-1980s when it was bought by a firm of property developers. 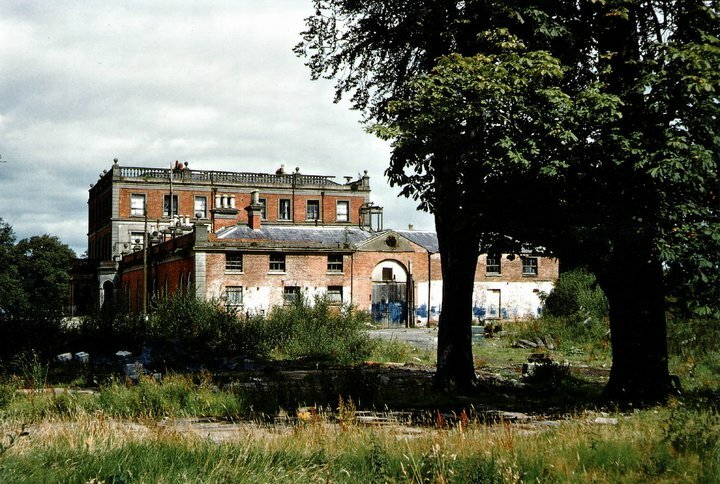 As the area by this date had become a suburb of Dublin and much of the immediately surrounding land was given over to housing estates, there were concerns that the castle itself would be left to fall into ruin or pulled down. 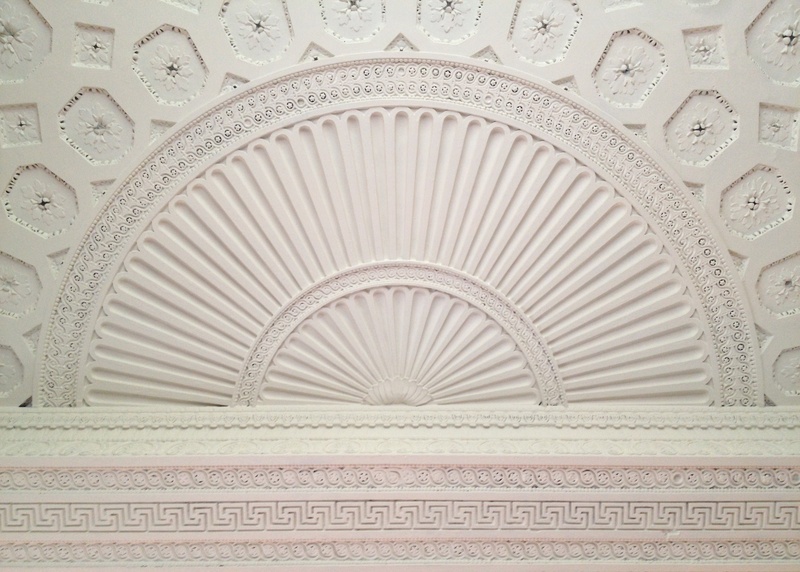 In 1987 the Irish State acquired the building and immediate acreage and under the auspices of the Office of Public Works has been engaged in a process of restoration and refurbishment ever since (see http://www.heritageireland.ie/en/Dublin/RathfarnhamCastle). 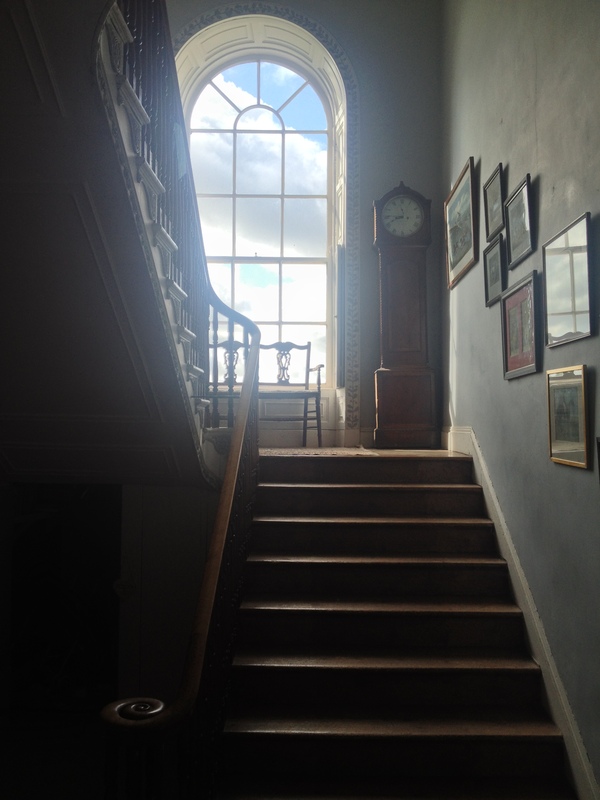 There is a great deal more one could write about Rathfarnham Castle, and perhaps might on another occasion. 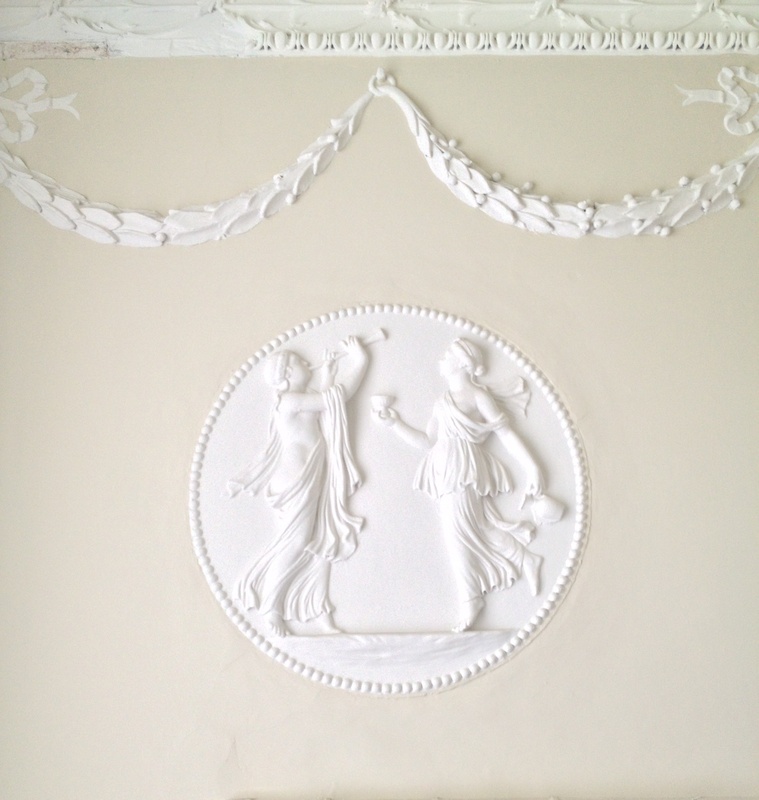 For the present, the accompanying photographs will give an idea of a notable feature of the building which attracts relatively little notice: its fine plasterwork. 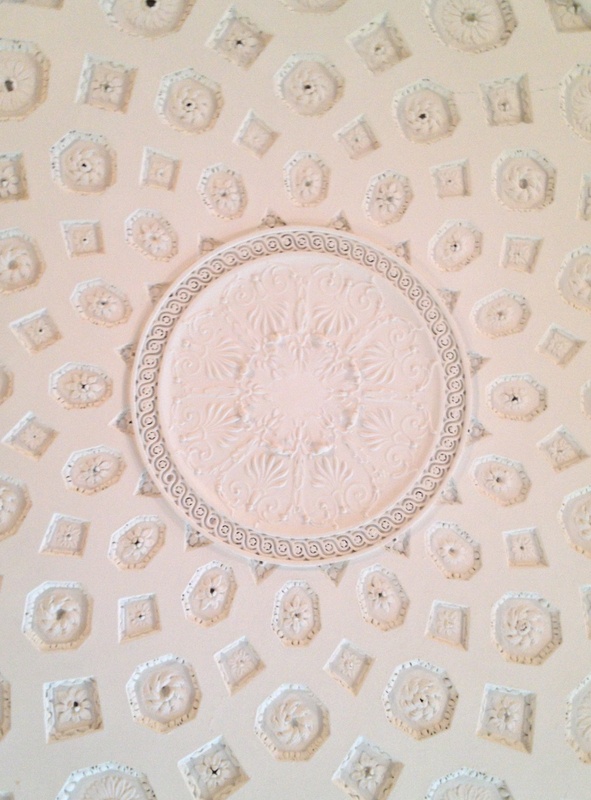 Throughout the 18th century a succession of different owners and occupiers did much to improve and update the building, and its interiors reflect changes in taste over that period. 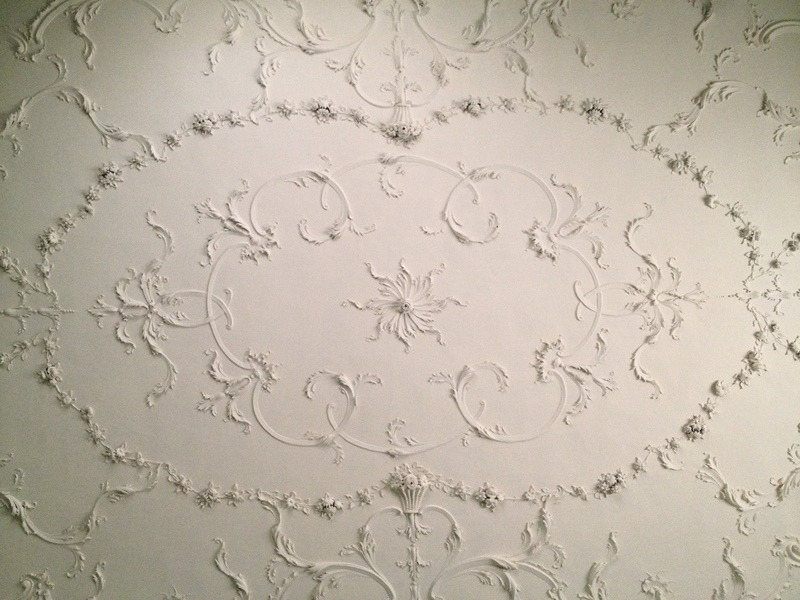 Different rooms are decorated in different styles, so that the whole castle becomes a history of fashion in stuccowork, ranging from the lightest rococo to severe neo-classicism (both Sir William Chambers and James ‘Athenian’ Stuart had a hand in the design of some of the interiors). 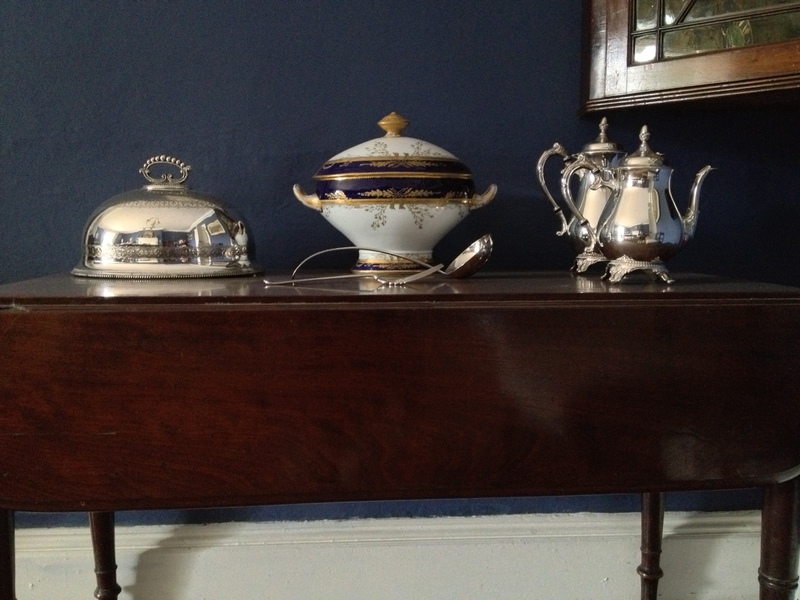 All of it is of high quality and serves as an example of the level of Irish craftsmanship – and the ability to adapt to an evolving clientele – throughout the period. 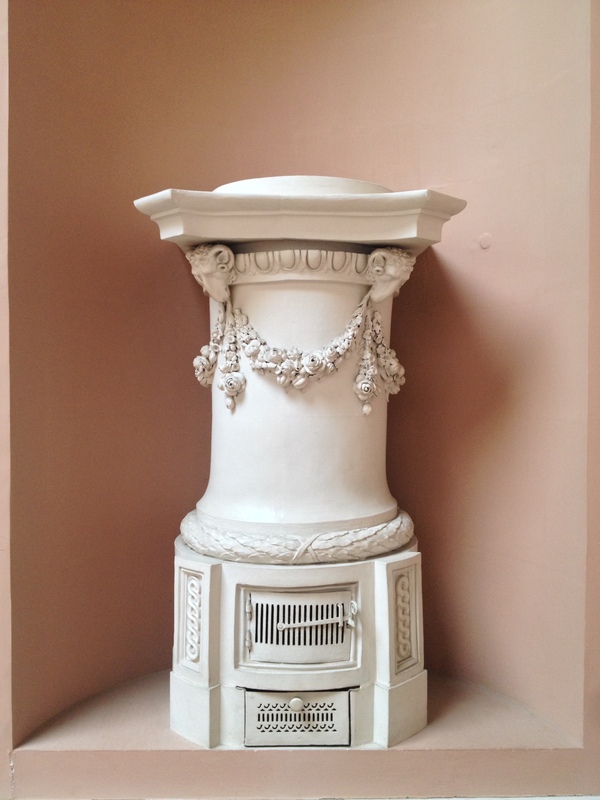 It is a pity more is not made of this aspect of the building since Rathfarnham Castle’s diverse decoration gives it a unique character and deserves to be celebrated. 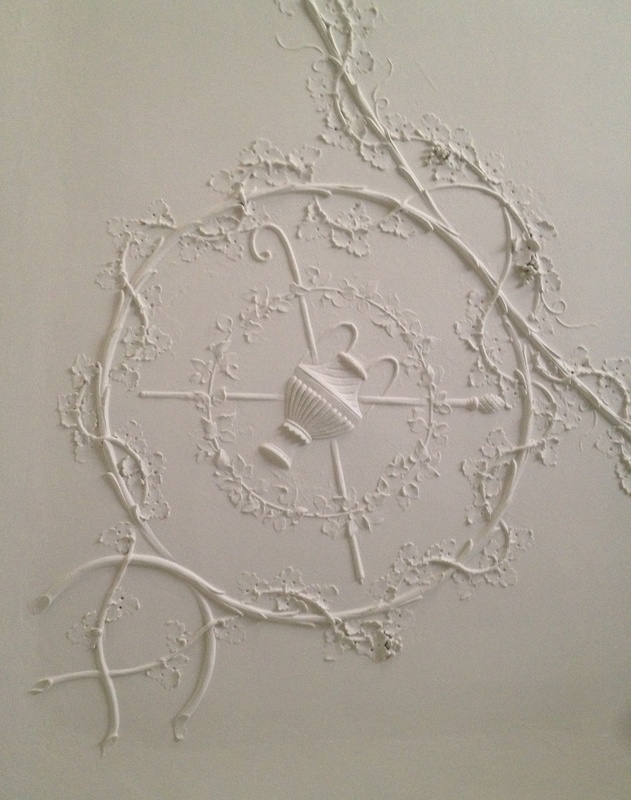 Hence the decision to feature only details of the house’s plasterwork today. 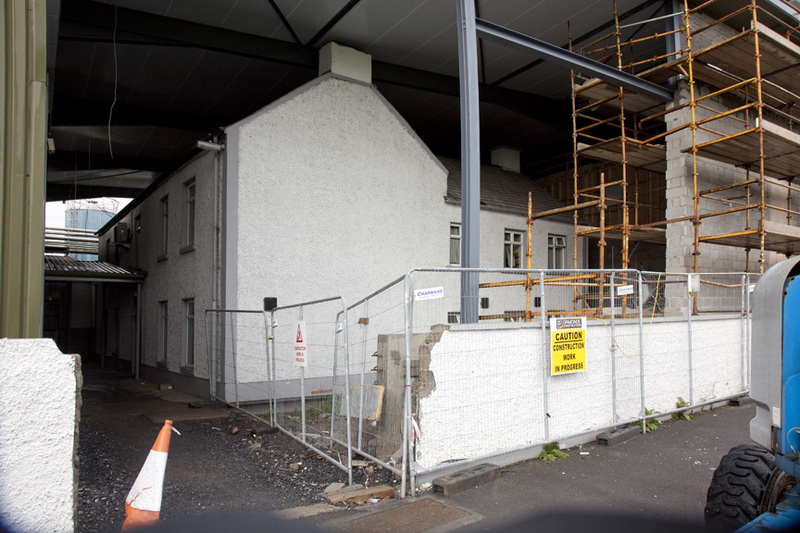 Earlier this week photographer James Fennell took a number of extraordinary pictures showing an old house at the entrance to the 18th century planned Quaker village of Ballitore, County Kildare being enveloped within a new structure; once the latter is complete, the old house will be demolished. The company responsible for this undertaking is Glanbia plc which grandiloquently describes itself as ‘a global nutritional solutions and cheese group’ and which on Wednesday announced a 13 per cent rise in revenue to €1.68 billion in the first half of 2013. 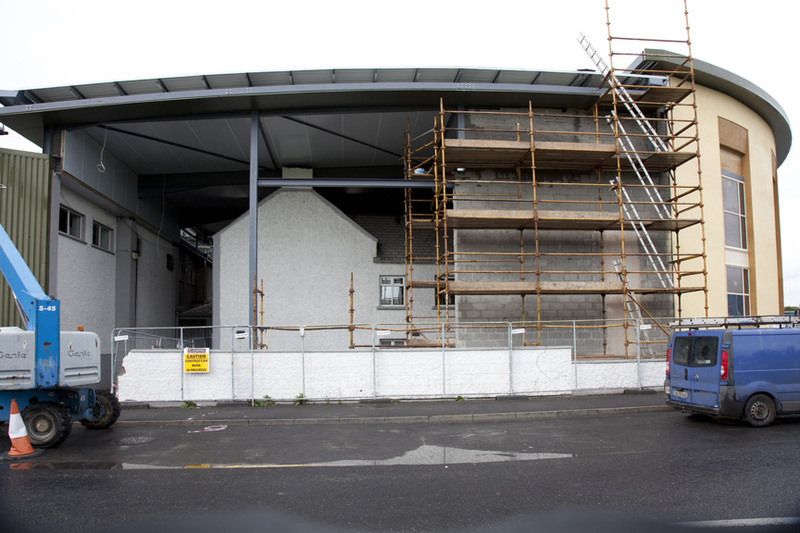 Glanbia already has a plant in Ballitore and last year applied for planning permission to extend the premises, which involved the demolition of the house, referred to in the application as a ‘two storey office building’ thereby conveniently ignoring its history as part of a long-standing residential settlement. Permission for this work to proceed was duly granted by Kildare County Council, after its conservation advisors advised that the structure had been so altered and refurbished that it ‘no longer retains any features of special significance’ and could accordingly ‘be deemed to be of little significance within the architectural heritage of Kildare.’ Leaving aside the fact that the local authority permitted those alterations and refurbishments to take place, the approval also ignored the house’s importance within the overall framework of the village of Ballitore, a unique collection of houses that are each part of a greater whole; damage one element and you damage the entire site and thereby irreparably alter its distinctive character. Glanbia is not some foreign entity (its origins lie in the Irish co-operative movement and it ought therefore to have a sense of community) so neither this organisation nor Kildare County Council can claim ignorance of the history of Ballitore. No doubt the inevitable economic arguments will be trotted out in justification for this act of cultural vandalism. Tourism is also an enormously important money-generating industry in Ireland: this is not Soviet Russia and tourists do not come here to look at factories. By assisting in the demolition of a fine old house and its replacement with a characterless monolith, the two bodies responsible will have inflicted damage on both the appearance of Ballitore and on the local economy. 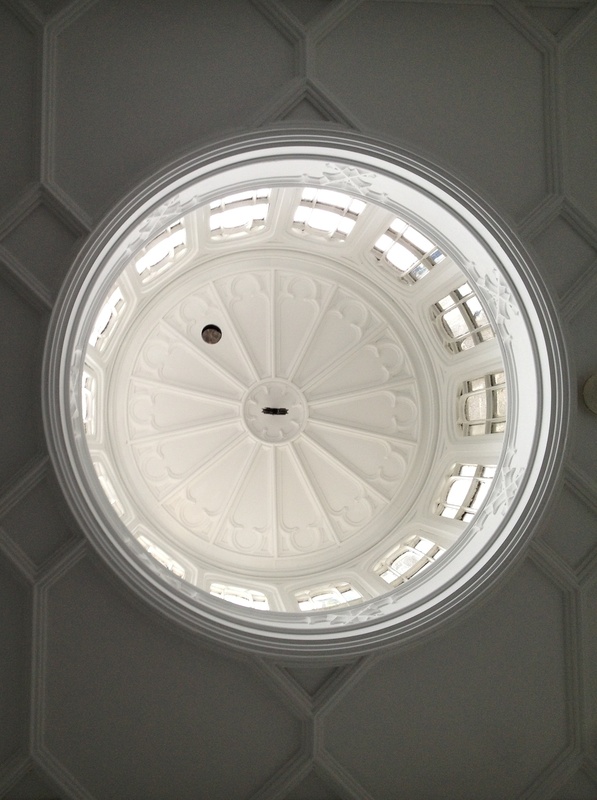 A view of the circular lantern at the top of the back stairs in Tullynally, County Westmeath. 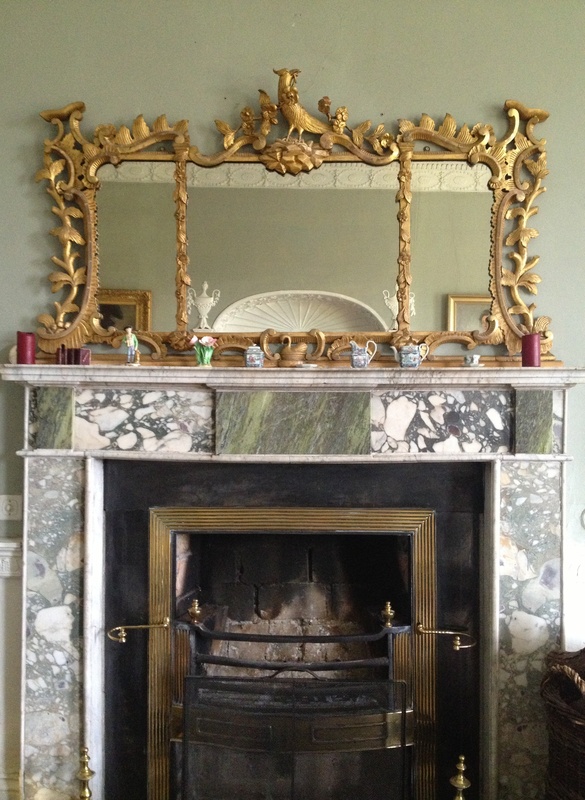 Dating from the early 19th century, this was probably designed by James Shiel as part of a programme of work intended to make the house more gothic in style. Yet there is nothing heavy or oppressive about the space. On the contrary, thanks to Shiel’s lightness of approach, the lantern seems not to sit upon but to hover effortlessly above the stairs. 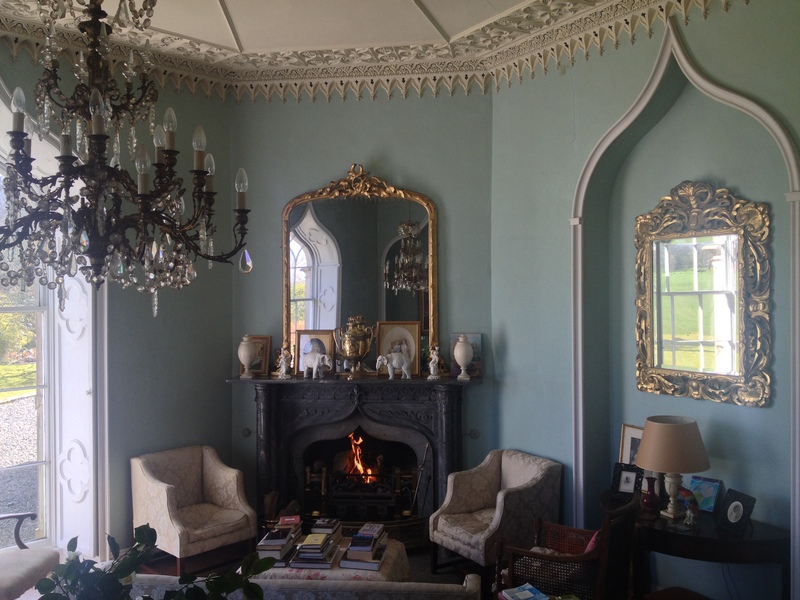 The gothick drawing room at Grey Abbey, County Down. 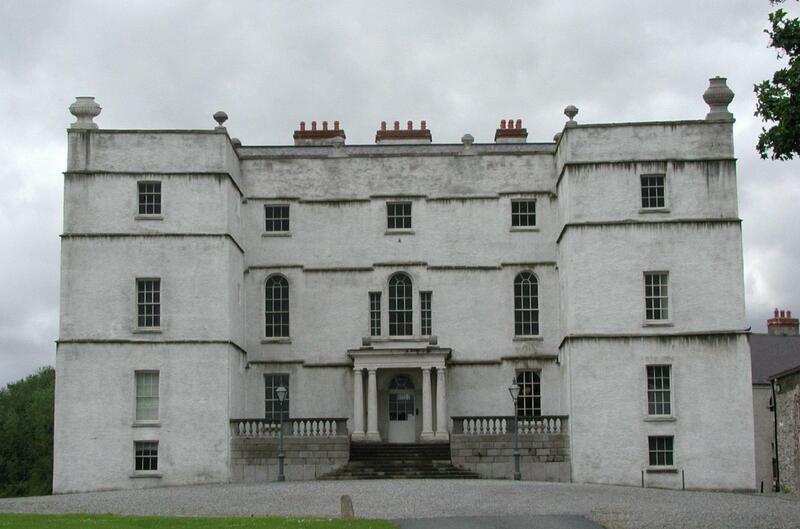 Dating from the early 1760s the main part of the house was built in the classical manner by William Montgomery. 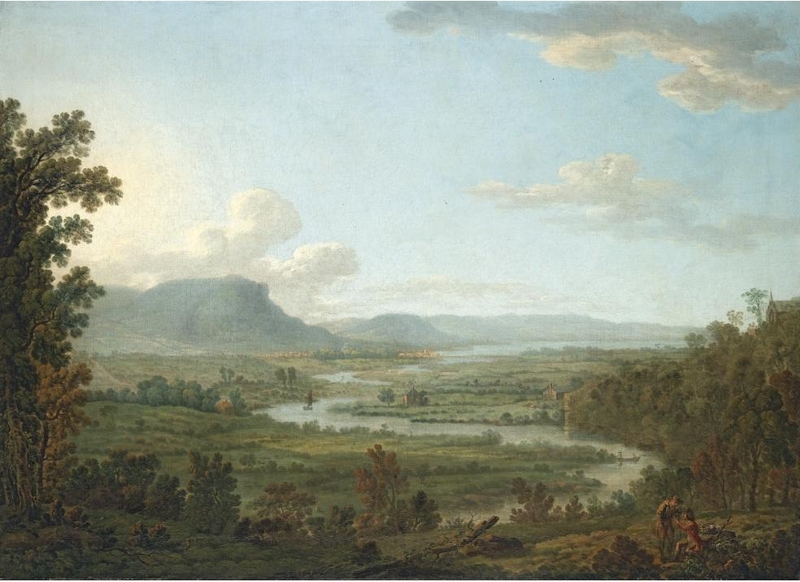 Following his death in September 1781 while leading British troops at the Battle of Groton Heights during the American War of Independence, the estate was inherited by his brother Hugh. 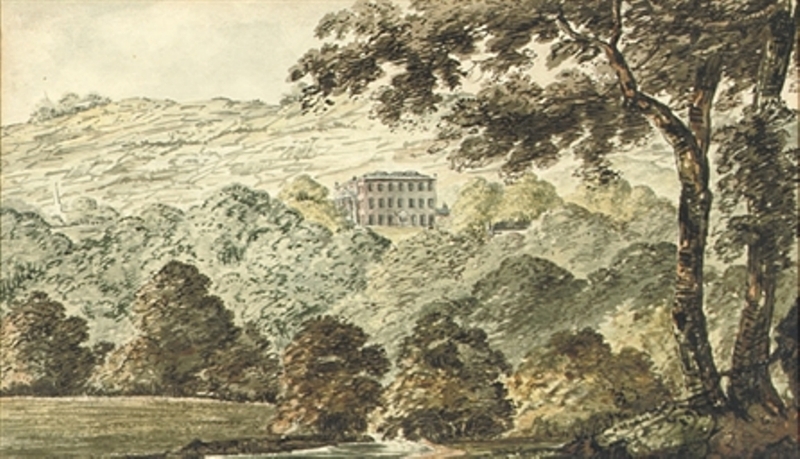 In 1793 the latter married the Hon Emilia Ward, daughter of the first Viscount Bangor who lived on the other side of Strangford Lough at Castle Ward. This house is famous for its dual architecture and decoration: owing to the differing tastes of Lord and Lady bangor one half is in the classical style, the other in gothick. 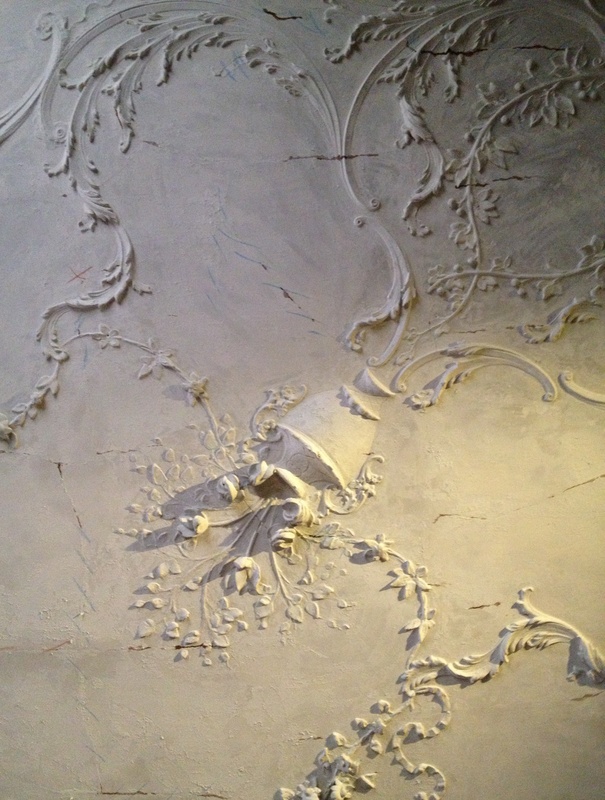 It would appear the Hon Emilia preferred her mother’s predilection and thus caused the redecoration of Grey Abbey’s drawing room. 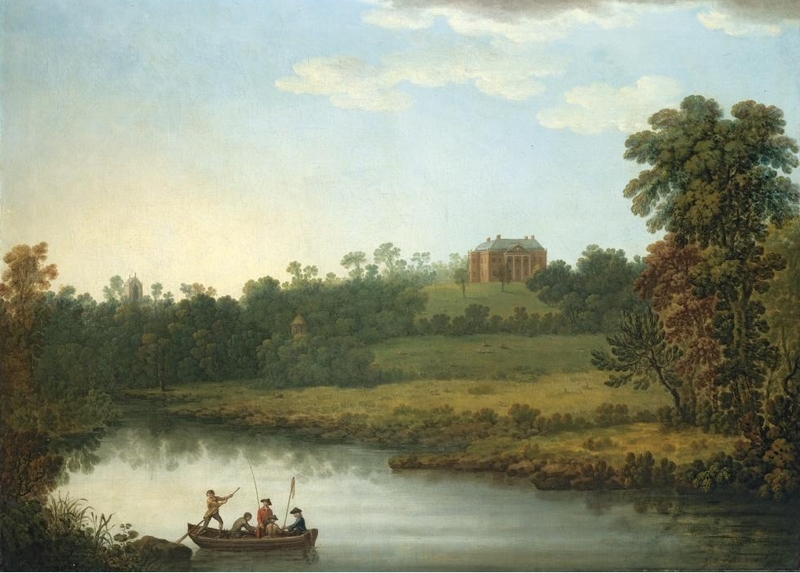 ‘Our eyes were charmed with the sweetest bottom where, through lofty trees, we beheld a variety of pleasant dwellings. Through a road that looked like a fine terrace walk, we turn to this lovely vale, where Nature assisted by Art, gave us the utmost contentment. It is a colony of Quakers, called by the name of Ballitore.’ Thus wrote an unknown visitor to this part of County Kildare in 1748. Ballitore has long been an area where members of the Religious Society of Friends settled. The sect was established in the late 1640s by the English dissenter George Fox but its tenets quickly found a response in Ireland where the first recorded Friends meeting for worship took place in 1654 at a house in Lurgan, County Armagh belonging to William Edmundson. Before converting to Quakerism and adopting its pacifist principles, he had been a member of Oliver Cromwell’s Parliamentarian Army, as was his almost exact contemporary Colonel John Fennell who like Edmundson moved from England to Ireland. In 1675 Edmundson’s diary records travelling from Wales and attending a meeting at Fennell’s Irish house: ‘The wind coming fair we put to sea again and landed at Cork where Friends were glad of my coming. When I had visited Friends’ meetings in that quarter, I went to John Fennell’s in company with several Friends, where we had a refreshing, heavenly meeting. Here divers Friends from Mountmellick and thereabouts came to meet me, in whose company I returned home, where I met with my wife and children in the same love of God that had made us willing to part one with another for a season for the Lord’s service and truth’s sake.’ By this time Edmundson was settled in Rosenallis, County Laois (not far from another Quaker settlement, the aforementioned Mountmellick) while Fennell had acquired land at Kilcommon on the outskirts of Cahir, County Tipperary. Despite being in (quietly reflective) opposition to the established church and its practitioners accordingly incurring various penalties, Quakerism soon established a presence in Ireland. Already by 1660, the sect had some thirty meeting houses around the country and their numbers continued to grow through the remainder of the 17th and early years of the 18th centuries. Their minority status meant Quakers often gathered together in settlements such as that at Ballitore. The land on which the village stands was purchased in 1685 by two Quakers John Barcroft and Abel Strettel, supposedly after they had discovered the spot while resting their horse en route from Dublin to Cork. The first planned Quaker settlement in these islands, it quickly grew and some forty years later saw the foundation of a boarding school by the Yorkshire-born Abraham Shackleton. Although run on Quaker principles, it was open to children of all denominations and its most celebrated ex-pupil was the orator, statesman and philosopher Edmund Burke. Not far from Ballitore stands Burtown, originally built for the Quaker Robert Power in 1710 and marked on early maps as Power’s Grove. 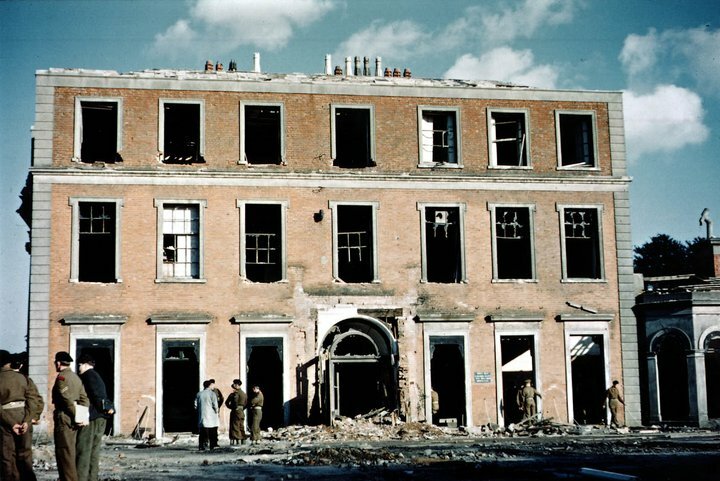 The house’s original appearance was somewhat different to what can be seen today: of three bays but only one room deep, it seems to have had wings of which just a faint outline remains. 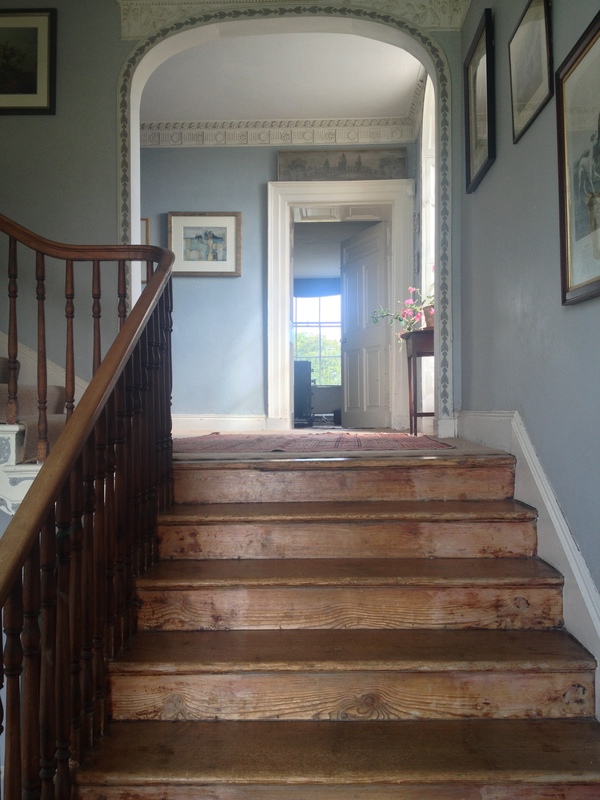 In the second half of the 18th century, the property was extended to the rear, notably by the addition of two large bow-fronted rooms one above the other and linked by a splendid staircase accessed via a broad elliptical arch. 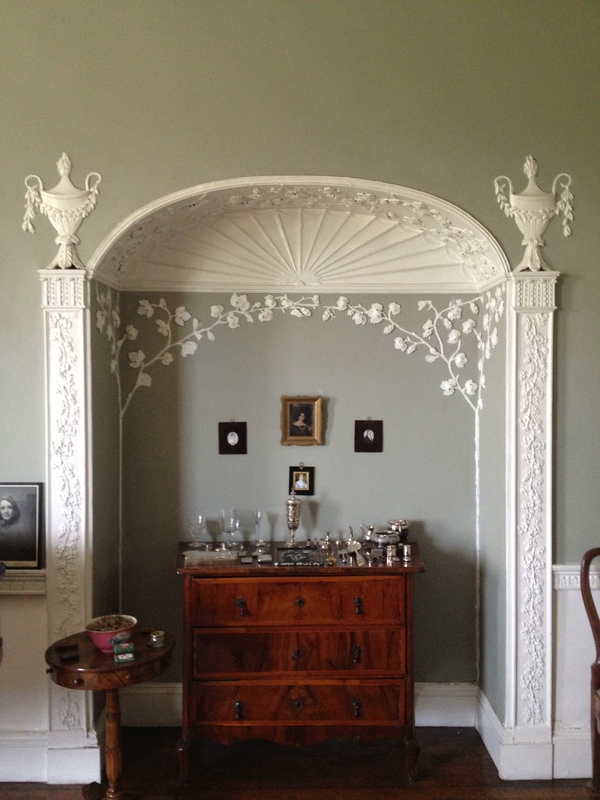 It is surmised that the ground floor room was intended for dining: it has a charming arched alcove filled with plasterwork representing tendrils of grapevine and flanked by Corinthian-capped pilasters on which sit classical vases. The space seems made for a sideboard which would certainly support the dining room theory. Meanwhile the equally fine room directly above, although now serving as a bedroom, would originally have been a piano nobile drawing room. 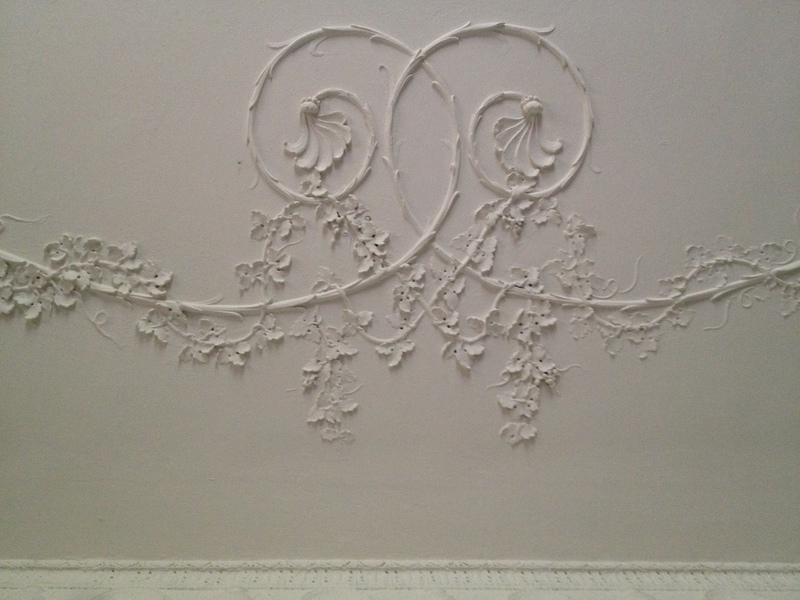 Burtown’s plasterwork, probably the work of a travelling stuccadore offering what were then fashionable flourishes, is one of the house’s greatest delights. 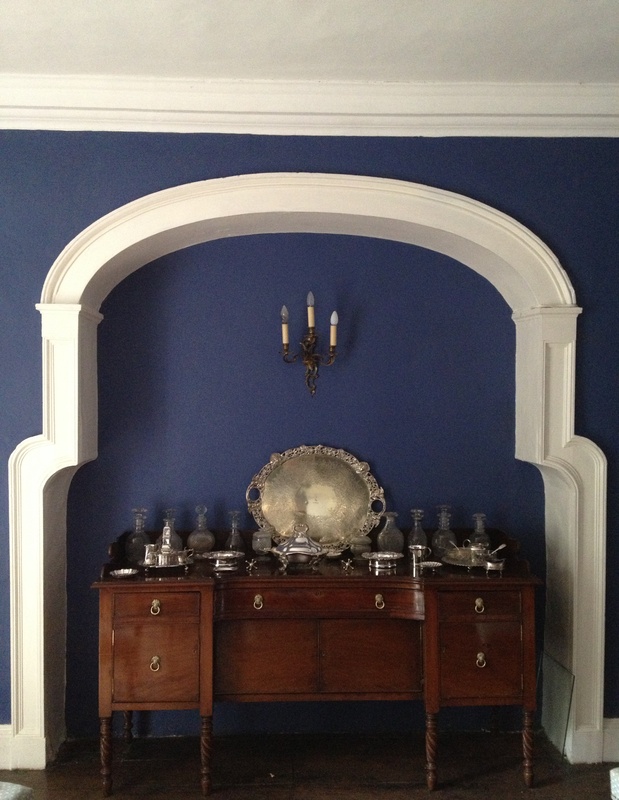 There is more of it found in the entrance hall, rather Wyatt’esque in style compared with that seen elsewhere in the house. 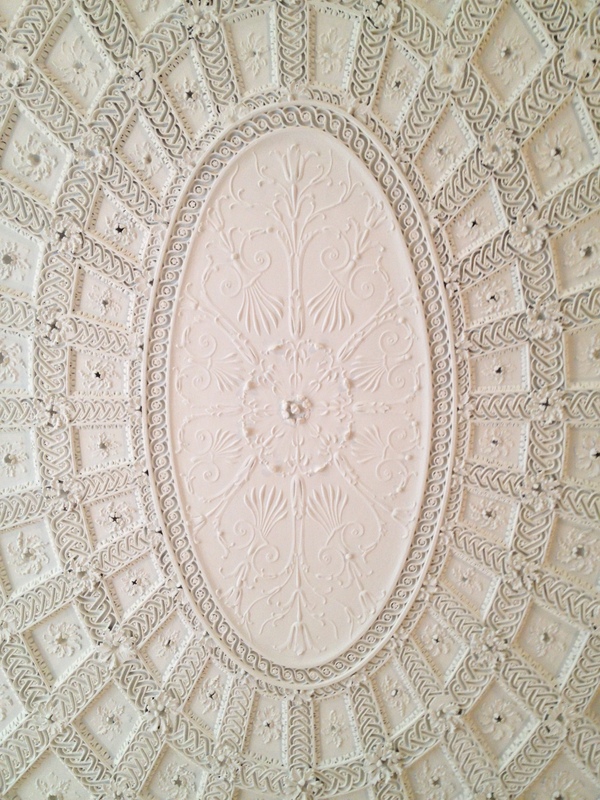 The ceiling is mostly covered in a sequence of swags while the walls have small oval medallions and, a delightfully quirky detail, classical busts on brackets in each of the corners. More work took place to the house in the early 19th century when the front was given its fan-lighted door and the roof those deep eaves so typical of the period. Traditionally Quakers were renowned for their plain living with all forms of ornamentation eschewed. 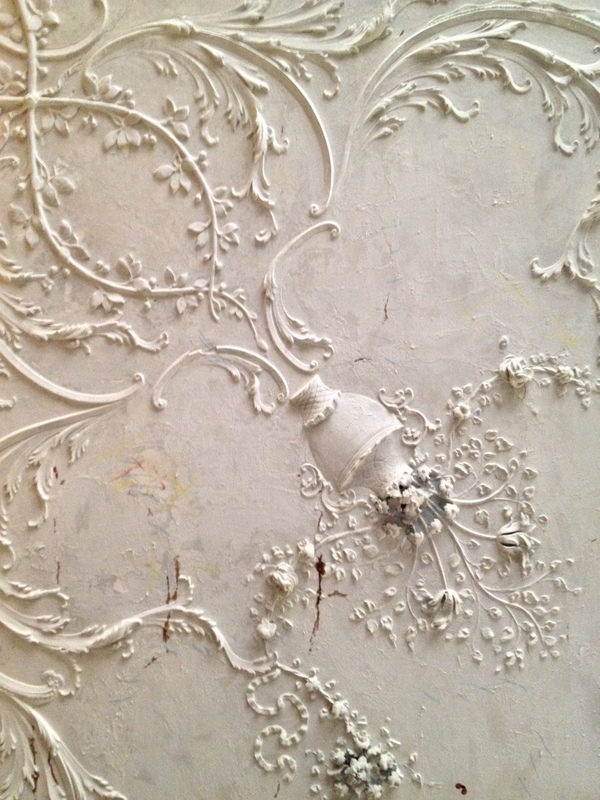 Burtown’s decoration suggests its owners were perhaps not the strictest adherents of their faith; tellingly William James Fennell who inherited the property in 1890 and was a keen horseman, was ‘asked to leave the Quaker persuasion because of his fondness for driving a carriage with uniform flunkies on the back.’ William James was a direct descendant of Colonel John Fennell and came to live at Burtown through his mother, Jemima Wakefield. The Wakefields had married into the Haughton family who in turn had married members of the Power family, Burtown thus passing several times through the female line. Jemima Wakefield had not expected to come into the property until her brother died after being hit by a stray cricket ball; who knew the game could be so dangerous? William James Fennell was the great-grandfather of Burtown’s present owner, photographer James Fennell who lives in the house with his wife Joanna and three children. 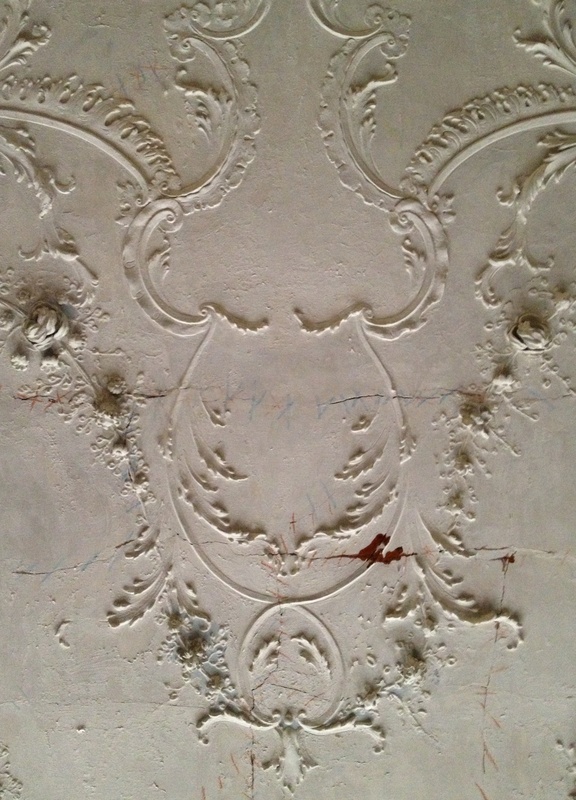 The latest generation has added its own mark while preserving the property’s character and cherishing its history. In particular Burtown’s gardens, which are now open to the public, continue to be expanded and developed. Across three hundred years and four different but inter-related families Burtown has acquired a patina only possible provided there is sufficient time and care. As had that visitor to the area in 1748, today it is still possible to be charmed here when ‘through lofty trees, we beheld a variety of pleasant dwellings.’ Few such houses as Burtown remain in Ireland and it is therefore fortunate that the current owners bring such enthusiasm and commitment to the task of preserving the place into the future.